Robert Luff and Co are delighted to offer this extended semi-detached house situated in Goring with its amenities of schools, shops, bus routes and mainline railway station serving London, Brighton, Portsmouth and Southampton being close by. The property has three bedrooms, family bathroom/w.c, living room, dining room, family room and fitted kitchen. Outside are front and back gardens, garage and driveway. Viewing is recommended. Understairs cupboard with gas and electric meter and electric circuit board fuse box, radiator, wall mounted timer control unit for central heating. 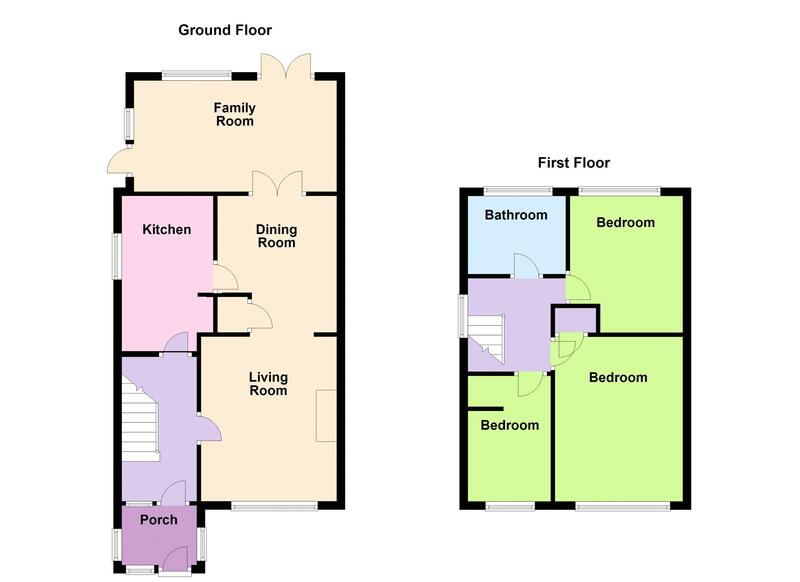 Wood effect flooring, radiator, door to kitchen, double doors to family room. Double glazed double doors to garden, two further double glazed windows and door giving side access and double aspect, wood effect flooring, radiator. Measurements to include built in units. Matching range of floor and wall units with work top surfaces and inset one and a half single drainer sink unit with mixer tap, plumbing and space for washing machine, space for cooker with extractor above, space for fridge/freezer, part tiled walls, wall mounted combi boiler concealed in unit, obscured double glazed window. Access to loft space with pull down ladder and light, double glazed window. Measurements to include built in airing cupboard with radiator and shelving, radiator, double glazing. Double glazed window, TV point, radiator. Maximum measurements to include cupboard over bulk head in one corner, radiator, double glazed window, TV point. Matching suite of panelled bath with wall mounted shower, pedestal wash hand basin, close coupled low-level w.c, part tiled walls, obscured double glazed window, heated towel radiator. Patio, lawn, flowers and shrubs, shed and side gate enclosed by panelled fencing.